Want a fun way to teach your kids about Science? 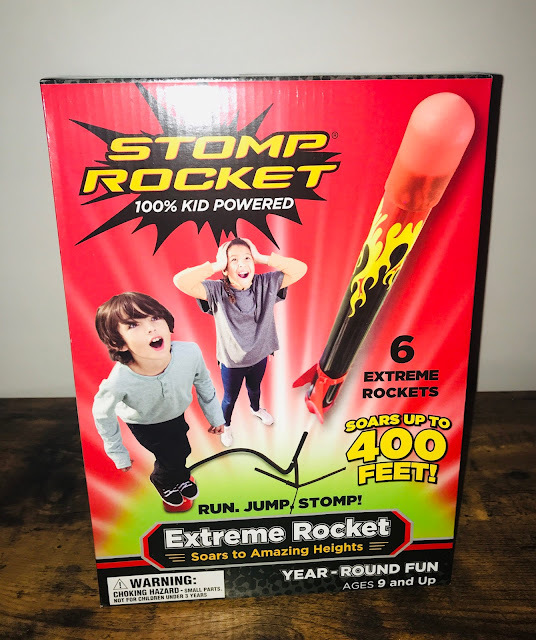 The Stomp Rocket Extreme is the perfect toy for you! Check out my video review and learn how this fun outdoor toy is the perfect STEM toy for your adventurous children. Run, jump and STOMP! For 25 years, Stomp Rocket® has been entertaining kids and their families, and stimulating active, outdoor play. The Original Stomp Rocket® is 100% kid-powered, and the product line includes rockets that soar up to 400 feet in the air, as well as toys that are appropriate for kids as young as age 3. Stomp Rocket® has sold over 5 million toys and won numerous awards from industry experts, including Good Housekeeping, Creative Child Magazine, Dr. Toy, iParenting Media and Toy Directory Monthly. Stomp Rocket® is made by D and L Company of Minden, Nevada,www.StompRocket.com. Stomp Rocket® has already garnered national and viral media coverage on The Today Show, Access Hollywood, She Knows and more. Stomp Rocket is easy to find and can be purchased in store at Walmart, Bed Bath and Beyond and Kohls as well as online at Target.com, BedBathandBeyond.com,Walmart.com (affiliate link) and more! 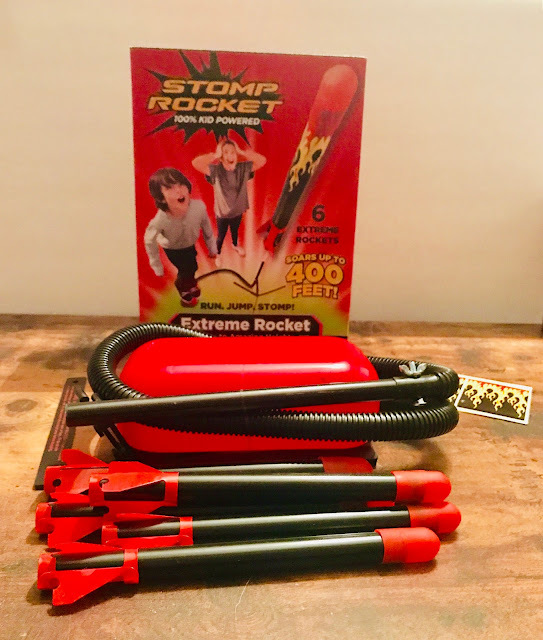 Stomp Rocket® Extreme – Let the older kids put their stomping and flying skills to the test with these rockets that can fly up to 400 feet in the air! $19.99 Available at Walmart! 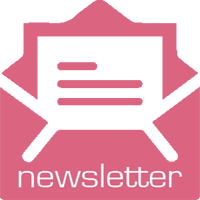 Disclosure : This post contains affiliate links. 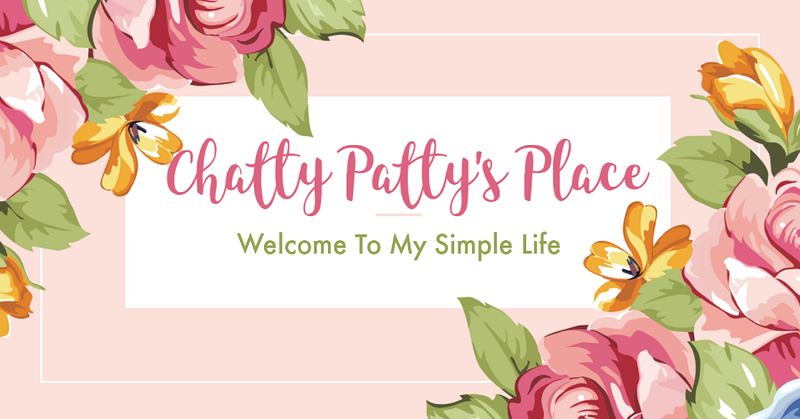 I received this product to review for my honest personal opinion. My granddaughter would love this. All she wanted for Christmas and her birthday were science kits.